So indescribably badass. We hope to have more on this (and of this) in the near future. ~ by velofinds on February 1, 2011. 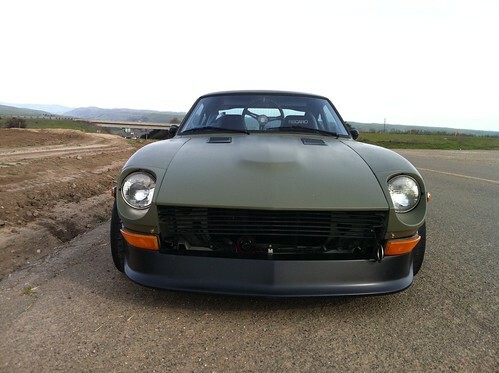 Done right, olive drab paint jobs look the business. Done wrong they look victimized by a can of rustoleum. This is done right. I am in love with this S30!!! Is this Dave’s old car? 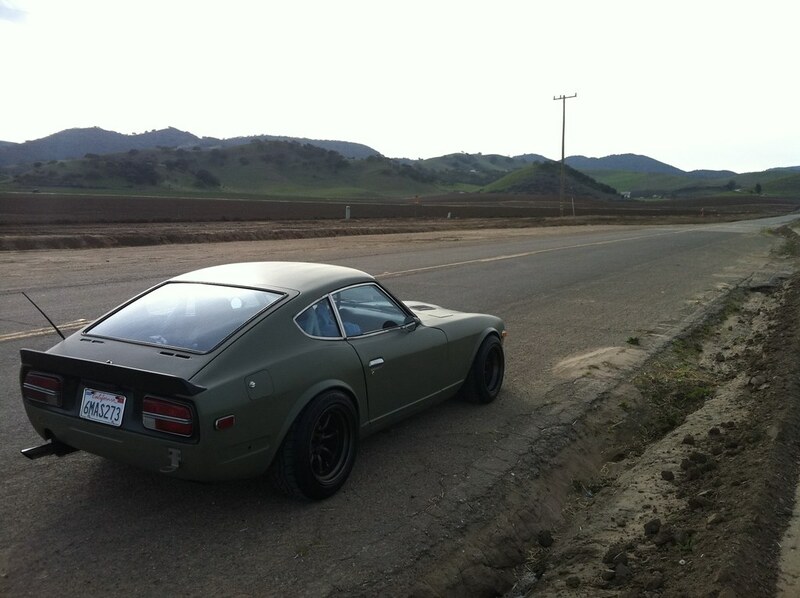 That s30 is absolutely gorgeous. The flat paint just kind of steps out of the way and allows the gorgeous lines of the s30 to take the spotlight. Somehow, 930’s and s30’s always seem to look ‘right’ next to each other. Awww, I was close-ish. I just don’t know my German cars well enough. 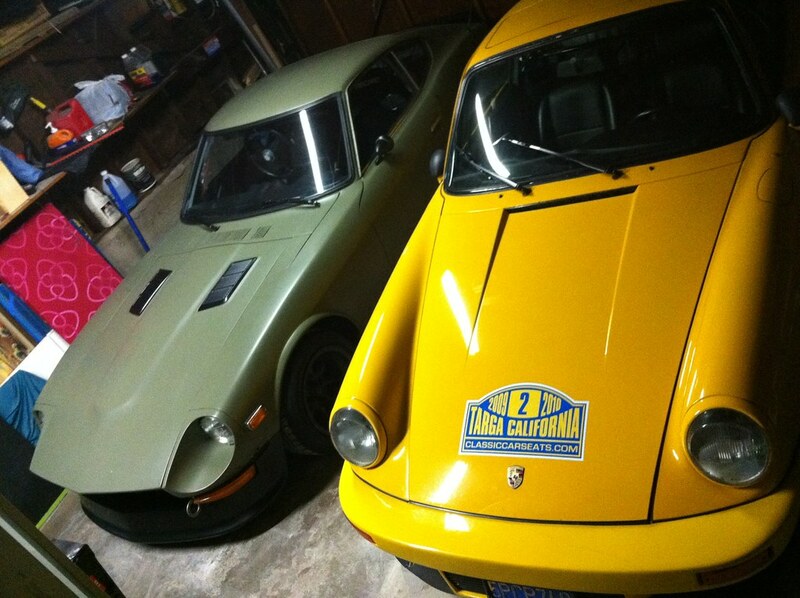 indeed, the watanabes are to vintage japanese what panasports and minilites are to vintage european. How did i miss this post?! ha. 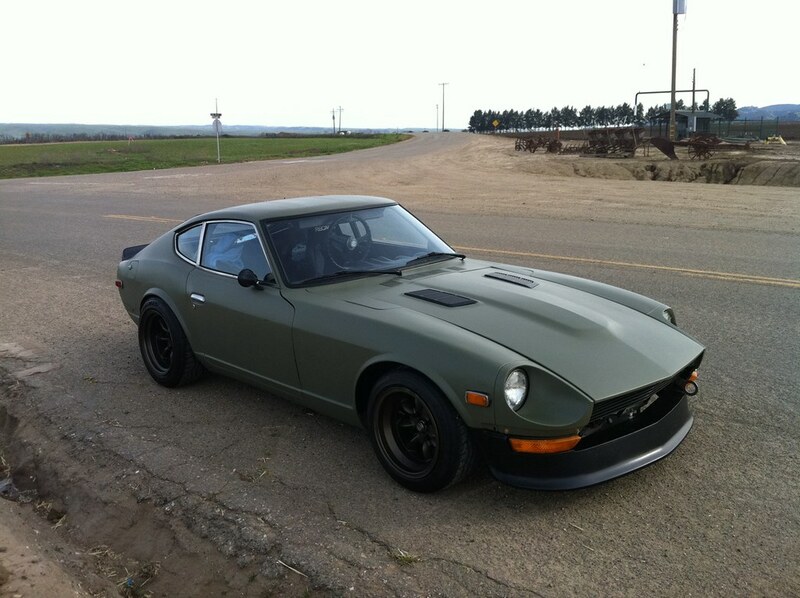 Thanks for the kind word, I have been out of town, so only drove it one since I bought it. I will get more info and better pics soon. Thanks guys. What are the wheels up front? Definitely not the same as the Watanabe’s. 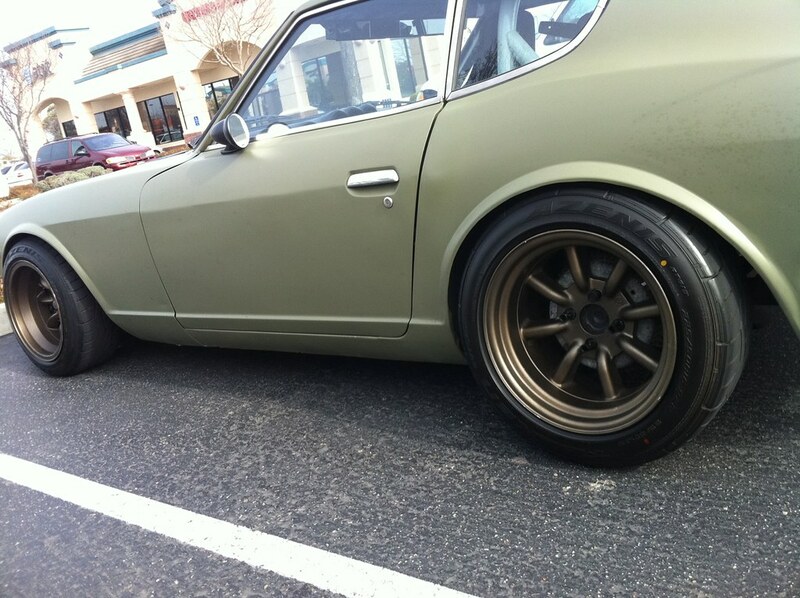 almost looks like staggered fitment but in reverse, with the rear wheels up front. maybe jim will see this and comment. Yeah I agree they look backwards. The lips are totally different. thats what caught my attention. That is one mean green machine. On a random note is this Jim Bauer of Odyssey BMX fame?? Thought I recognised the name and the 911. I used to ride BMX and shoot BMX photographs. I’m now in to my historic motor racing and shoot automotive photographs instead with a little bit of the BMX in between. come to think of it, thought i recognized your name too, jonny. now i remember why— i had seen your work before on the chicane blog. top notch! Yeah I had a couple little features on the chicane blog awhile back. Glad you liked my work. If you ever want any features or anything for motoring con brio let me know.